I’ve wanted to go to Galicia for some time now, having lived close to a Galician community when in London for a couple of years. They were so friendly and passionate about their food and wine. I also like Albariño, so that finally tipped the balance. 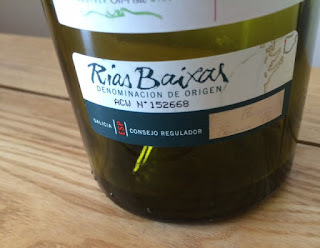 The Rias Baixas (pronounced ree-ahs by-shuss, so as not to look foolish) are a series of Fiords which thrust out into the Atlantic and form the Galician wine area in North West Spain, which is split into 5 subzones. One of them, the Val do Salnes is reputedly the best and where we decided to base ourselves for our three day trip. In terms of the journey, we flew to Porto and drove for a couple of hours North to get there. You can fly to Santiago or Viga but from the UK you will need to transfer via Madrid or Barcelona. 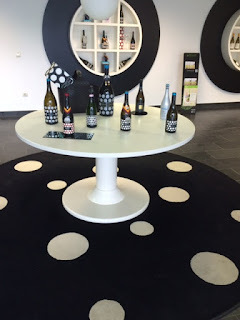 However, it is worth the trip, not least because you will not have to share your winery visits with coach-loads of other folk and the tours last for ages – around two hours including copious amounts of tasting. Also, I was delighted to find out that the local’s were as warm, friendly and humble as the people I’d met in London. Constantly apologising for not having fantastic English (which was pretty fantastic) and very grateful for the visit. Coming from Lancashire (the home of the Rochdale Pioneers), I was extremely keen to visit Paco & Lola – a co-operative made up of 428 family-growers. In this area, there are lots and lots of small parcels of vines rather than acres grown by one family or large business. Paco & Lola have the most fantastic wine packaging I’ve ever seen and it will make the inside of your fridge door look like Selfridges if you buy enough bottles! The name is interesting too, apparently Paco is short for Francisco! (the most popular boys name in Spain) and Lola short for Delores, also a common name. The inside of their office looks like a scene from Charlie and The Chocolate Factory. Polka dots are everywhere from the welcome mat to the frosted glass doors. 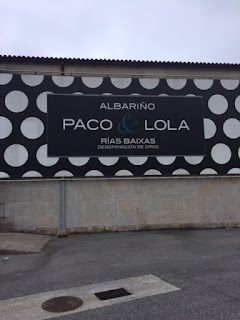 They also supply Albariño to Asda under their ‘Asda Signature’ range, so make sure you hunt that one out. 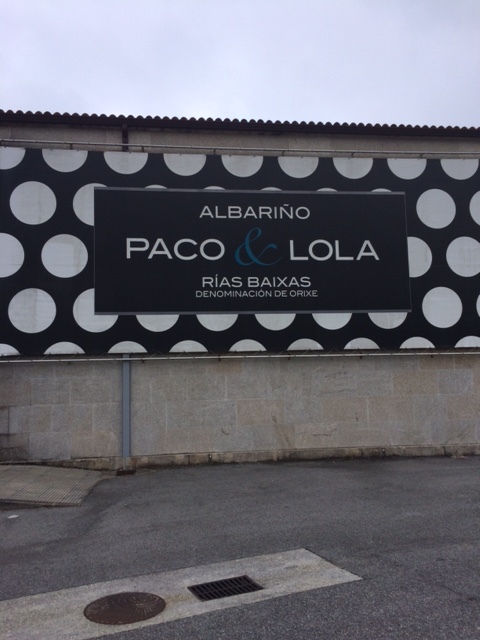 But their premium Paco & Lola Albariño is mainly sold in independent retailers. As you would expect from the wine, it is aromatic, fresh and zingy with aromas of citrus and white stone fruit. It is usually very dry with fantastic acidity and minerality. 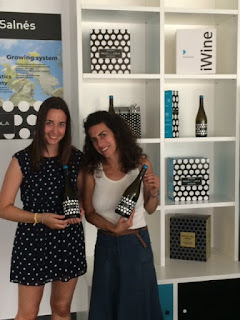 We were fortunate enough to be shown around by the delightful export Manager Carolina Rouco Chao (pictured below) and her colleague. We had a fantastic visit, despite having to wear a white coat and hair net! For those who might be thinking ‘style over content’, I would disagree. This wine tastes good and looks great. It is also (in my view) a far more appealing option to other ‘fresh, simple whites’ on the shelves and is fantastic with anything fishy as well as being a great summer quaffing wine. Carolina explained the military precision required in organising the delivery of grapes at harvest time when over 400 grower families turn up to deposit their small yields. However, they are not allowed to leave until the grapes have been analysed to check they are of the required quality, levels of sugar and acidity. What a day that must be! I salute the ethos of the winery – think Rochdale Pioneers minus the clogs and all dressed in black and white polka dots. In a country which is suffering financially, Albariño is a good news story and is deservedly on most restaurant wine lists and supermarket shelves these days. If only they did green shield stamps….. Interesting to find out a bit more - we'll have to search out their wines.